Get on the email list for updates on the latest in collectible and customizable 3d printed Designs. This little guy is seriously on the case. His magnifying glass is simulated, but his investigative prowess is not. He is the second of Jim’s series of little Owls in hats/headwear, known as Scowls. Each scowl perches on something related to their hat. This is a fan art design by Jim Inziello from a very popular movie in China called Monster Hunt. He created an opening at the top to fill the Prince with growing medium/soil so you can have him grow chia seed from his head. This is one of two #3dprinted Porcelain Prototypes that we had printed via #Shapeways. It is no longer available for printing. 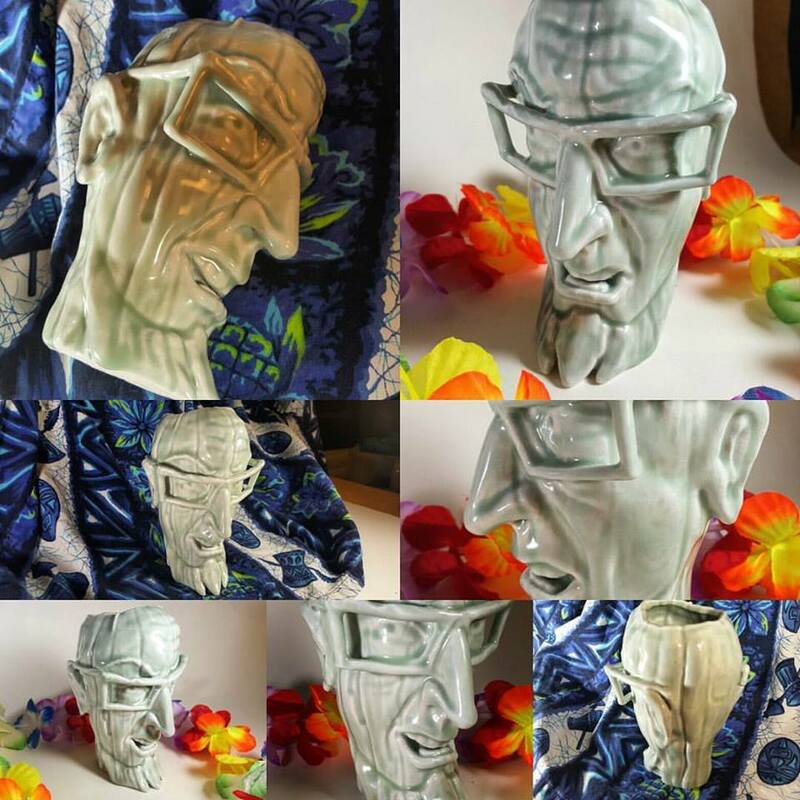 It’s Tiki Doctor V in 3d Printed Porcelain! Dr V. Tiki head Pendant. Just add your own jumper or run a string right through his noggin. Available in many swank materials. Whipped up this little 3d model last night. Wrought Iron Heart Pendant (3d printed in stainless Steel, and other special metals). It is loadable with scented oil and it has a radiator surface to “cook” the oil based on the wearer’s body temperature. 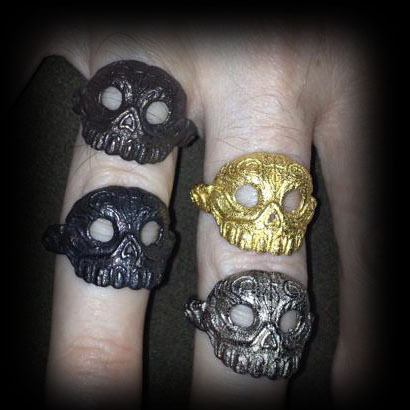 Some of the new metals are actually cast and polished like traditional lost wax method rings. 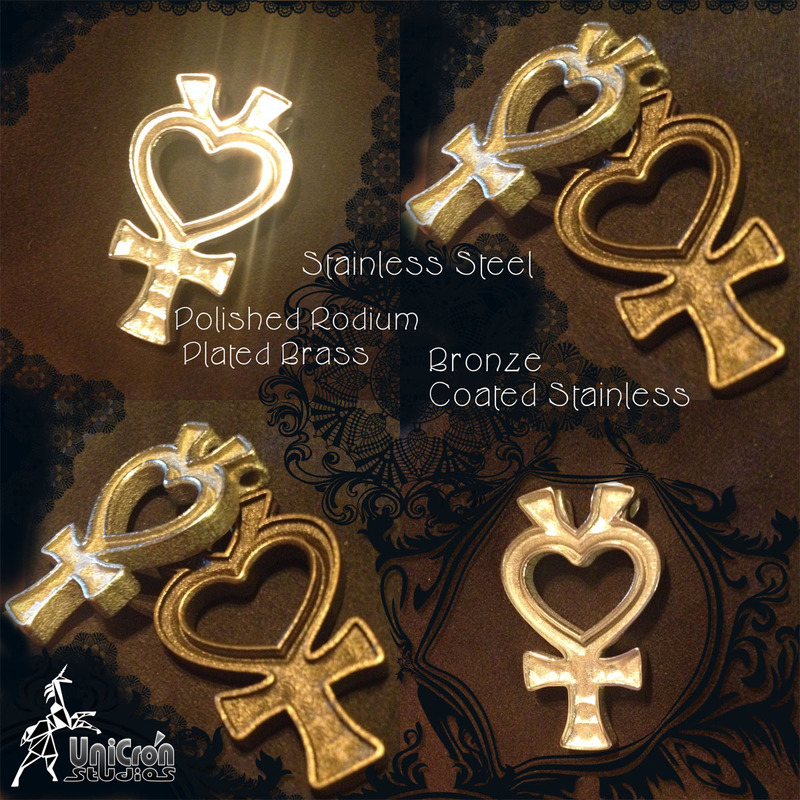 The Steel with infused/plated metals are done using state of the art Selective Layer Sintering into metal powder, with LASERS! Yarrrr!! now you can 3d Print like a Pirate-Cat!